WWE Monday Night Raw Results 8/5/17: The World Wrestling Entertainment live event took place at the O2 Arena in London, England this week at 2:20 ET. But, the tape will air with a delay. The recorded video aired at its regular time starting at 8 pm ET. With the opening announcement, we got to know that Raw’s new general manager Kurt Angle won’t be available for this episode. So, The Miz and Dean Ambrose were made as the acting co-GM’s. We got to see Braun Strowman and Maryse in the opening segment. Then, the acting GMs drafted matches for the night. The title of The Miz was on the line for the match. In the wrestling, Balor seemed to be in complete control fro the most part of the bout. But, Miz used his GM power and disqualified Balor. However, Dean Ambrose came out and restarted the match using his GM power. The match ended with Balor getting a win with the Coup de Grace. Check: WWE SmackDown Live Stream. In the backside segment of Raw, Nia Jax demanded Alexa Bliss a title matchup. Then, it was cut short to the ringside view as it was the time for the next bout. Alexa Bliss vs Mickie James in a non-title match. Bliss utilized the distraction created by Nia Jax and won against James. However, after the match, Jax brutally attacked James while Bliss & Bayley’s brawl took to the backside. Ambrose and Miz were arguing each other over abusing their GM powers and all of a sudden, Miz announced Ambrose vs Bray Wyatt for tonight. 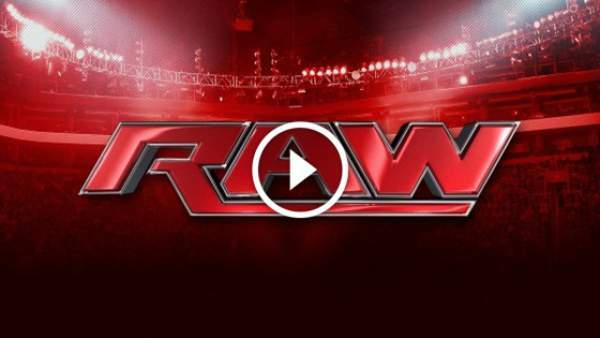 Check: WWE Raw Live Stream. In the promo, we saw Seth Rollins attacking Samoa Joe. They brawled for a while backstage. It was going all well, but Roman Reigns interrupted and it resulted in ending the match via DQ. Then, the two fought each other for some time in Arena. It was Ceasaro and Sheamus vs Enzo Amore and Big Cass vs Heath Slater and Rhyno vs Luke Gallows and Karl Anderson and Goldust and R-Truth. Eliminating all other teams, Cesaro and Sheamus won the match. After it, The Hardys came in the ring. Then, they and Sheamus and Cesaro had a stare down. The match finished with a DQ as Joe continued to attack Rollins even after the referee’s warning for the disqualification. Then, WWE Cruiserweight Champion Neville came out for commentary. TJ defeated Jack. Even after the match, TJP continued to attack Gallagher, but Austin Aries came out and saved him. Bray Wyatt vs WWE Intercontinental Champion Dean Ambrose, a non-title match. Ambrose lost to Wyatt. The Miz left commentary and attacked Ambrose with the title and allowed Wyatt to win with Sister Abigail. Then, in a promo, Miz showed that he will beat Ambrose in the title match next week and will end the show with it. Stay tuned to TheReporterTimes for latest WWE news and others sports updates around the world. Next articleiMac 2017 Updates: 27-inch Screen Device To Be The Most Powerful Desktop Yet?